Olympic gold medallist Cheick Sallah Cissé of the Ivory Coast missed out on the men's under-80 kilograms title at the World Taekwondo Grand Prix in Taoyuan after losing to Russia's Maksim Khramtcov in today's final. Cissé suffered a 34-16 loss to the under-74kg world champion on the last day of competition at the Taoyuan Arena. Trailing 19-8 going into the final round, the Ivorian went into all-out attack mode, delighting the crowd with spectacular spin kicks. But it was Khramtcov who was scoring with body shots and trademark head kicks, and with that, his points soared. In the last seconds, Cissé dropped a huge, arching downward round kick as if to entertain the crowd, though it was too late to win. Egypt’s Sief Eissa and Great Britain's Damon Sansum were the men's under-80kg bronze medallists. There was also disappointment for another Rio 2016 gold medallist in the women's under-49kg category today as South Korea's Kim So-hui fell to a golden-point defeat at the hands of Thailand's Panipak Wongpattanakit, the recently-crowned Asian Games gold champion. Kim led 6-0 going into the third round but it was there that Wongpattanakit found her range, lifting her points to five. With 30 seconds left, Kim, just one point ahead, was counter-attacked and her opponent equalised to 7-7. Wongpattanakit was penalised for exiting the area in golden point, but scored to the body to seal victory. 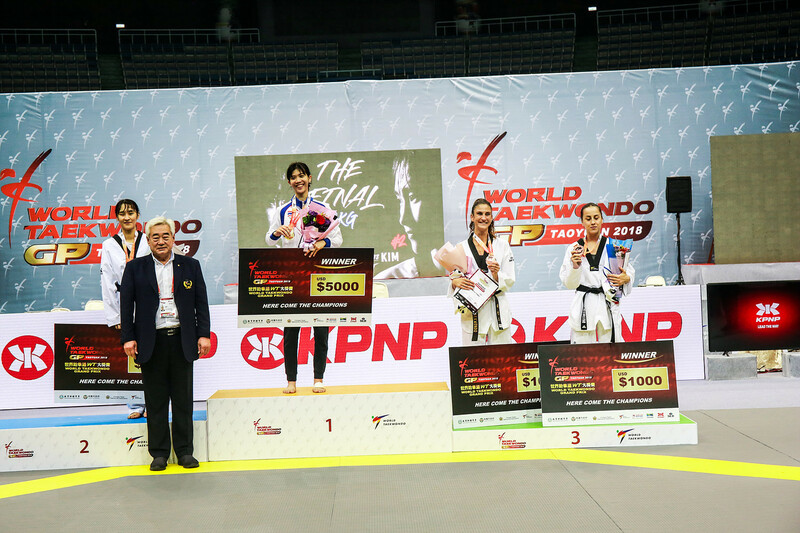 Croatia's Kristina Tomić and European champion Rukiye Yildirim of Turkey were the women's under-49kg bronze medallists. 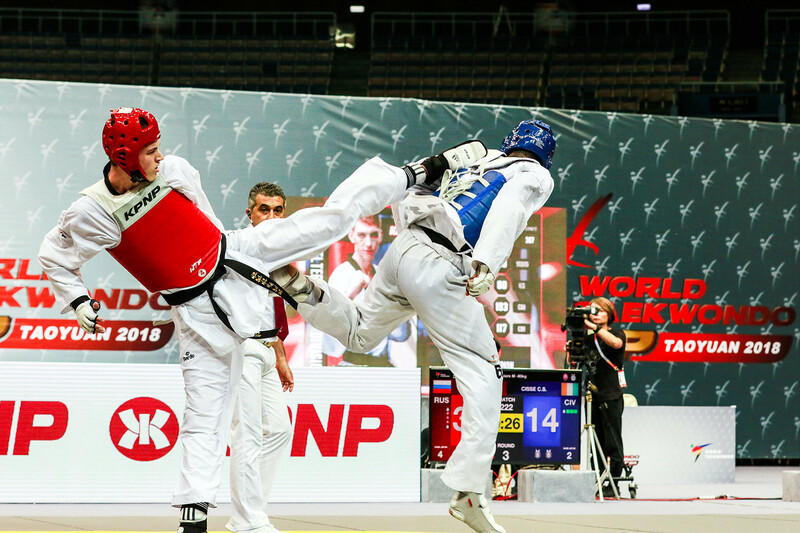 The fourth World Taekwondo Grand Prix of 2018 is due to take place in Manchester from October 19 to 21.